A part of preplanning can be discussing prefunding details. It’s not necessary to prefund arrangements in advance, but some people choose to do so. If you do decide to, it’s important to understand the different prefunding options available in order to select the option that best meets your needs. The following options are available to fund a funeral in advance. Trusts may be used to prefund funerals in Pennsylvania. Depending on the type of trust, it can be managed by the funeral home, cemetery, bank, state association or the state itself. Not all trusts are guaranteed to keep up with inflation for a specified period of time. With a guaranteed, fully funded trust, there generally is no additional balance due to the funeral provider at the time of death. A form of whole life insurance, preneed insurance products, can be used to prefund funerals. The consumer purchases a specialized insurance policy that has growth value, meaning that the face amount or death benefit will increase over time to pay for funeral costs at time of death. Preneed insurance may be paid by a one-time cash premium with no further premiums due for the term of the contract, or by installment. Policy growth and the payout amount are not taxable to the purchaser. Payable-on-death (POD) accounts are available for the purpose of paying for funerals, often when death is imminent. Typically, a POD is held jointly by the consumer and the funeral home. Upon the consumer’s death, the account automatically goes to the funeral home. POD accounts do not guarantee that a funeral will be paid for in full, the family or estate is responsible for any shortfall. Savings accounts or life insurance are existing assets that may be earmarked in advance for funeral costs. However, you must ensure that your family and attorney have been informed and that provisions are made to access the funds upon your death. 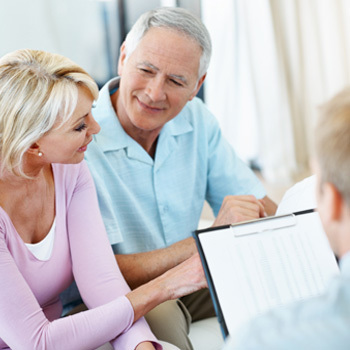 You are allowed to assign the benefits of an existing life insurance policy to a funeral home. Annuities can, in some circumstances, be adapted for preneed, usually for individuals of advanced age or with chronic health. There are many options available to prefund your funeral. By prefunding your funeral, your will be relieving your family of the financial burden. It’s important to remember that no matter what option you choose, any excess funds will be returned. Meet with Buch Funeral Home’s prearrangement specialist, Adam Kraut to discuss what option is best for you.